Steve, Ralph and Louise are our main points of contact for all customer related queries. Steve’s your man if you have any queries about booking our lovely hostel. 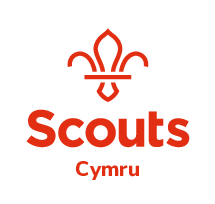 Drop Ralph a line for all training course, DofE or Explorer Adventure Weekend related queries, including any payment or invoicing issues. Louise is our volunteer warden. Contact Louise for any building related issues or emergencies during your stay. Daf, Ian and Gavin make the magic happen behind the scenes. You shouldn’t need to contact them, but if you do, here are their details.